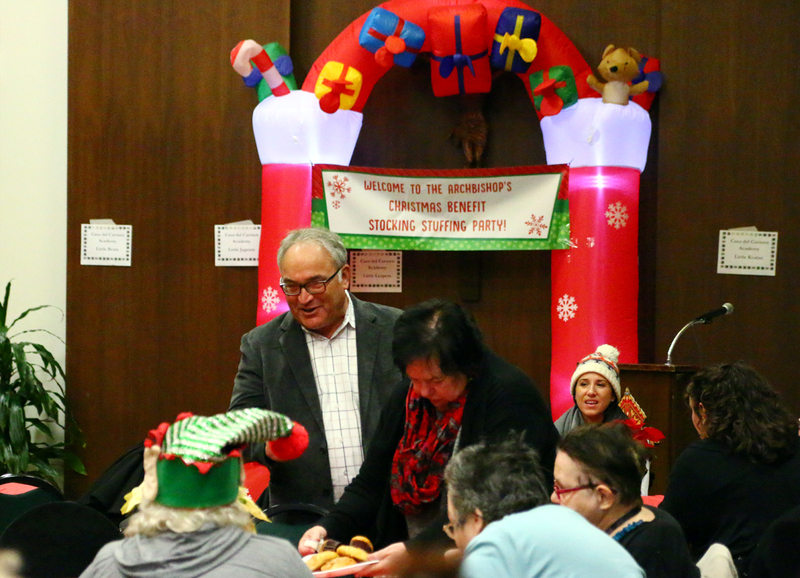 Jim Amato, secretary for Catholic Human Services of the archdiocese, spreads cheer among the volunteers stuffing the Christmas stockings. 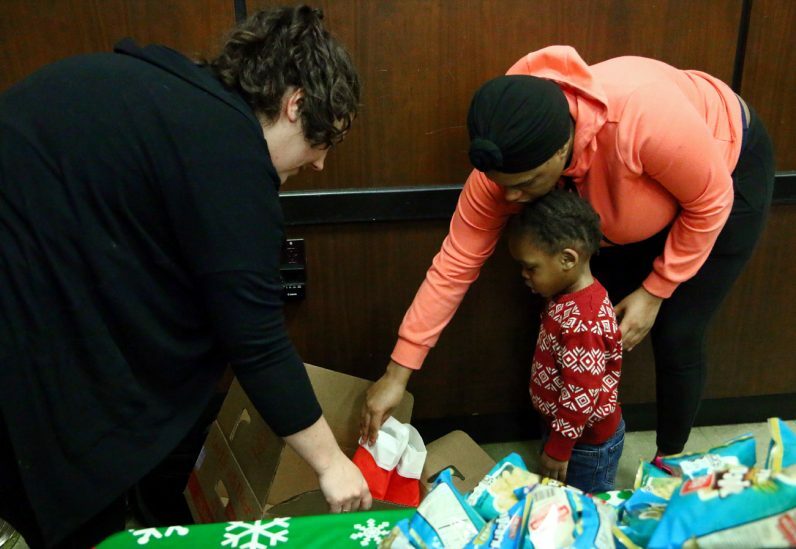 Natisha Diaz and her son Na’im Griffin, residents of Visitation Home, place the stockings they stuffed in a box to be delivered. 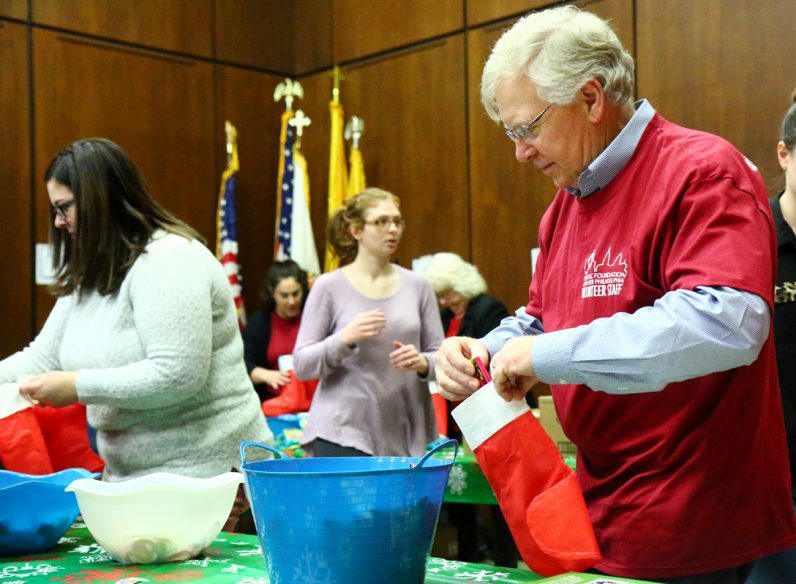 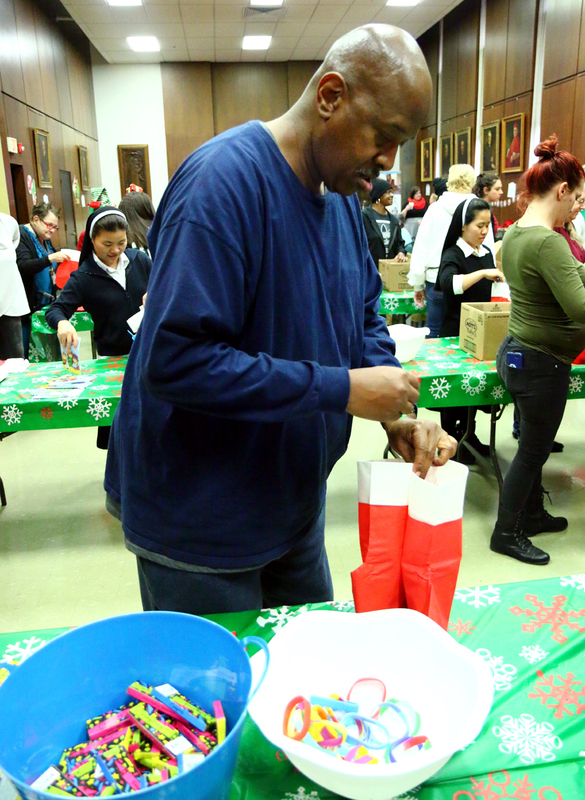 Gary Wilson, resident at St. John’s Hospice, stuffs two stockings at once during the event. 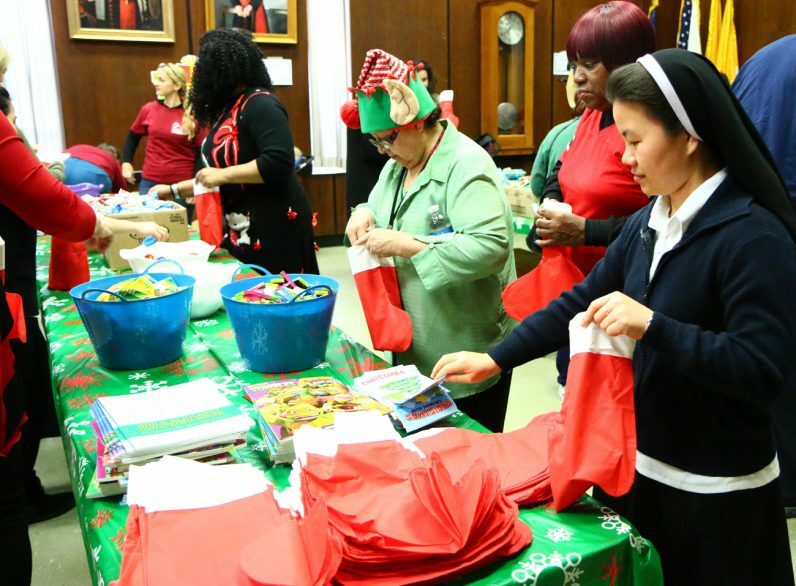 Susan Mockwood, resident at St. Mary’s, and Jasmine Fontanez, resident at Mercy Hospice, work together to stuff stockings. 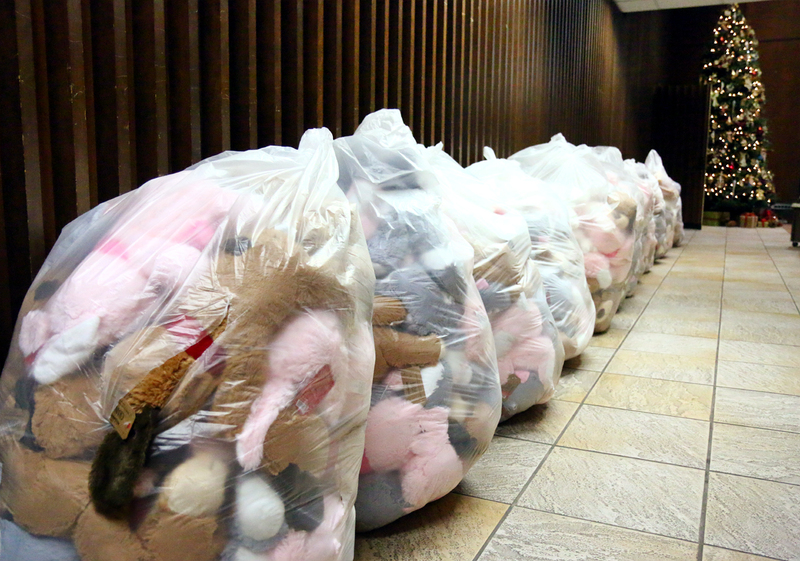 Deacon Jack Hasson from the Catholic Foundation of Greater Philadelphia stuffs a stocking. 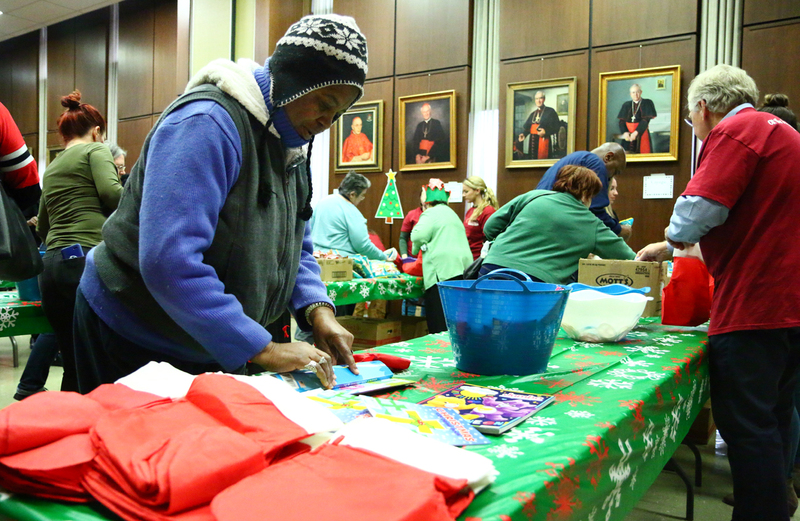 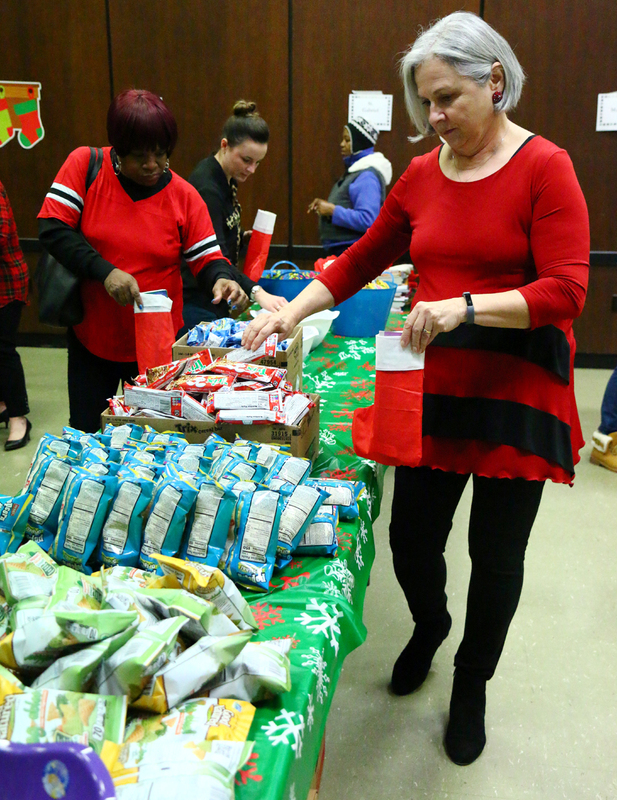 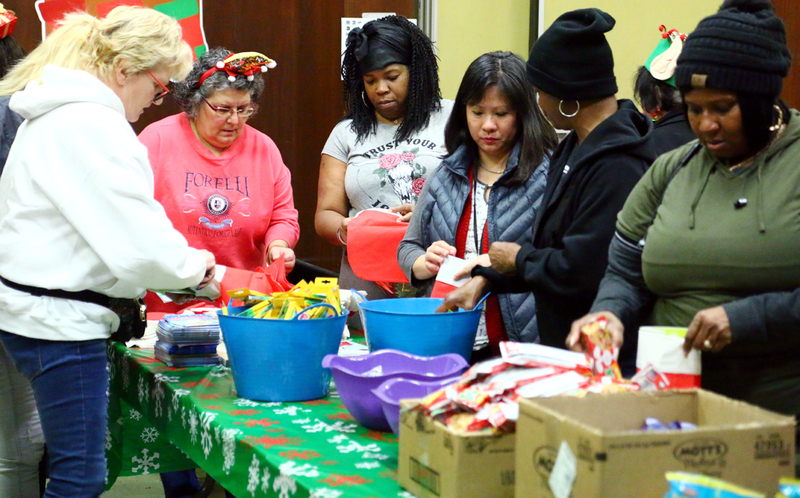 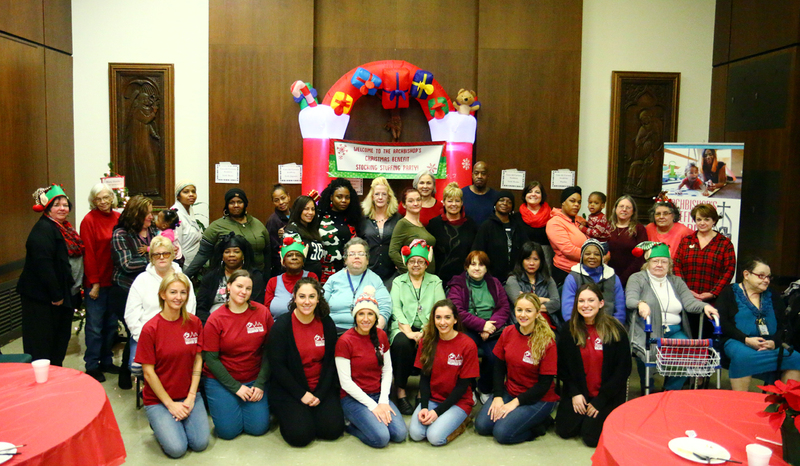 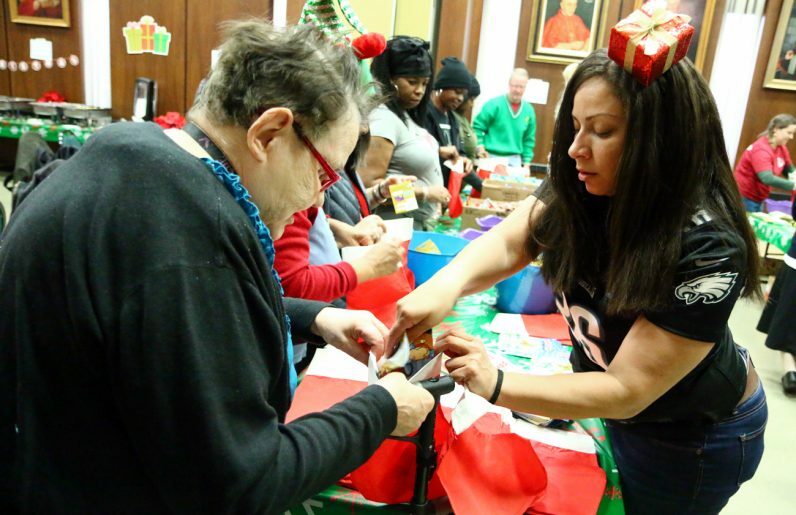 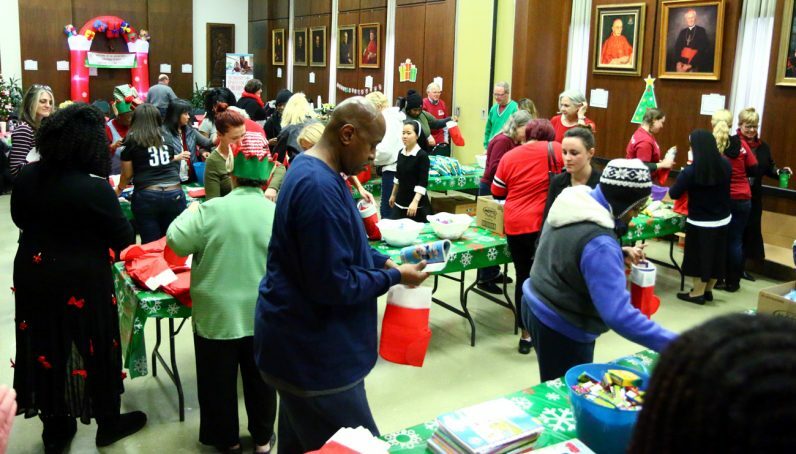 Arneitha Miles, resident at Women of Hope, volunteers during the stocking stuffing event.